…and I couldn’t pull it together enough to write my newsletter announcement. So I made Manuel do it. I hope this newsletter finds you well. Daniella has asked me to write it on her behalf, because she, I quote, “can’t handle it aaahhhhhhhhhhhh”. She’s always making me do annoying things. As you may gather when you read her book, I spend much of my time grudgingly following the instructions of the bossy (but very smart) women in my life. 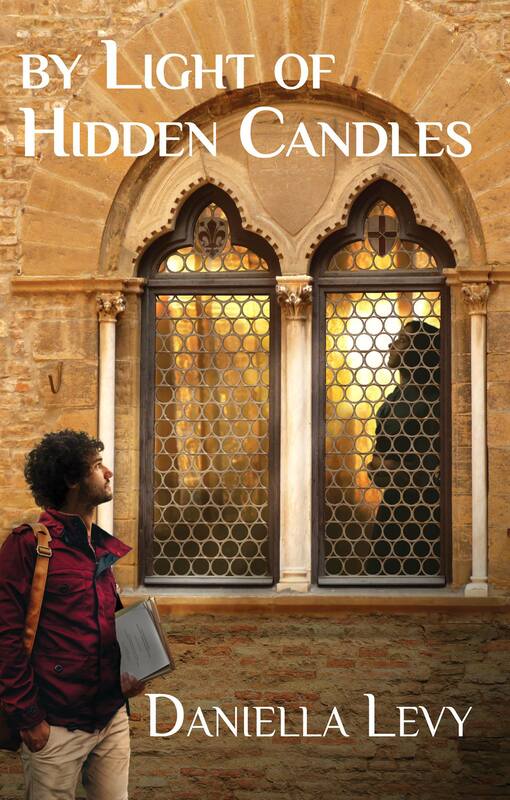 Anyway, to the point: Daniella’s new book, By Light of Hidden Candles (in which I play a central part) is officially launching today. Many of you have already received your copies, and those of you who have finished reading are kindly requested to click here and write a review on Amazon, and/or here to write a review on Goodreads. Doing so would be very helpful to Daniella and her publishers! If you haven’t bought the book yet, please do that! You can order from Amazon here or directly from the publisher here. Also–when you receive your copy, I suggest sending Daniella a selfie of you holding it. Better yet, post it on social media and tag her. It makes her so very happy, and nothing is more dangerous than a crabby author, so please do this for my sake. I hope that Daniella composes herself and stops hiding in her room soon, because she’s holding a small launch party for friends and family tonight and I am not going to be doing the reading or book signing for her, no matter what she says. I draw the line at newsletters! In theory, she plans to upload photos and videos of the event to her various social media platforms in the coming days. Speaking of which, she also wants me to inform you that she has a YouTube channel now; at the moment it has two playlists with videos and music related to the book (for example, the song my father used to sing to me around Christmas-time). Feel free to subscribe. I believe that will be all. I look forward to meeting many of you in person soon. Well, as “in person” as it’s going to get, given that I am, after all, a fictional character.